On October 14, 2018, Burl Butler retired after 51 years of service to Westview Boys’ Home. In August 1967, Burl and Y’Vonne Butler started their work with Westview. Burl had been working at the GM plant in Arlington, Texas, when friends of theirs, Ray and Nancy Stowe, stopped to visit the Butlers on their way back to Hollis. They invited Burl and Y’Vonne to follow them and spend that weekend with them at Westview. During that visit, Westview’s superintendent asked the Butlers to come work as houseparents. They accepted and started caring for boys at Sweetwater House on August 10, 1967, their tenth wedding anniversary. Burl and Y’Vonne worked for ten years as houseparents. 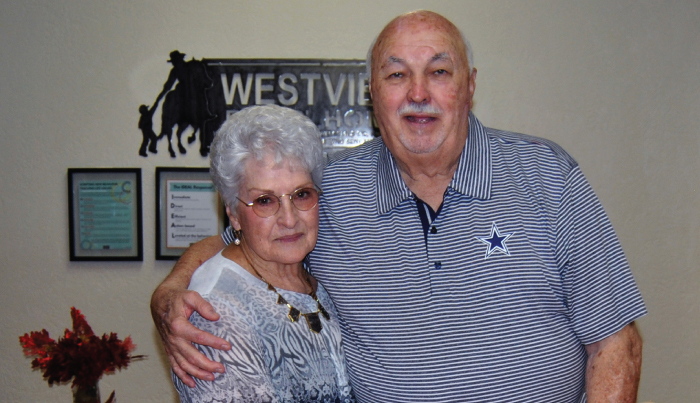 When they arrived at Westview, they had two children of their own, Burl Ray and Kim. Their youngest son, Rhett, was born while they were houseparents at Sweetwater. Eventually, their roles changed. Y’Vonne became the secretary for Hollis High School and Burl held several positions at Westview. Through the years Burl was the Farm Manager, Campus Manager, and Director of Church Relations. Following her retirement from Hollis Public Schools, Y’Vonne joined Burl on many of his trips representing the Home. Over the years, Burl has driven over a million miles visiting congregations and donors. During one year, Burl and Y’Vonne went to every town in Oklahoma where there was a Church of Christ and visited someone there or left material about the Home. Burl’s fondest memories of Westview include trips with the boys to Yellowstone Bible Camp in Montana and a fundraising trip he took with another Westview team member. On the latter of those two trips, Burl visited congregations throughout eastern Kansas, southern Nebraska, and western Iowa. During that week-long trip, Burl was invited to speak at three congregations about Westview and its work with at-risk youth. On Saturday, October 13, 2018, Westview hosted a reception for the Butlers at its offices in Hollis, Oklahoma. We thank the family and many friends who came and honored them.